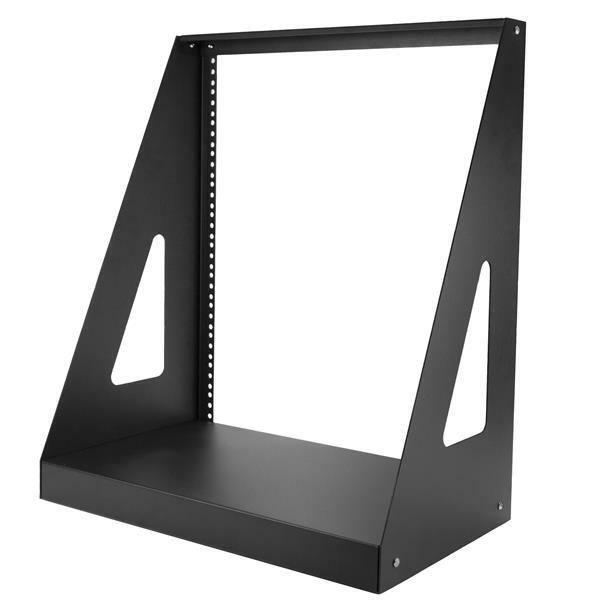 This 2-post rack stands on your floor or desktop to provide 12U of storage space for EIA-310-D compliant 19” rack-mount devices, such as telecommunication and A/V equipment. The rack creates a robust storage solution, with support for a total load capacity of 160 kg (350 lb.). This compact 2-post mounting solution offers a small footprint, and it’s engineered to provide exceptional stability, with a total weight capacity of up to 160 kg (350 lb.). 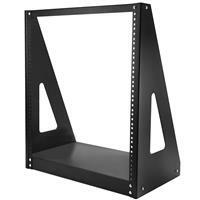 The rack fits in virtually any environment, and can be positioned on any surface, such as your floor, desk or table. The 2-post server rack comes in a flat-packed box to reduce shipping volume, which also significantly reduces your costs in shipping. 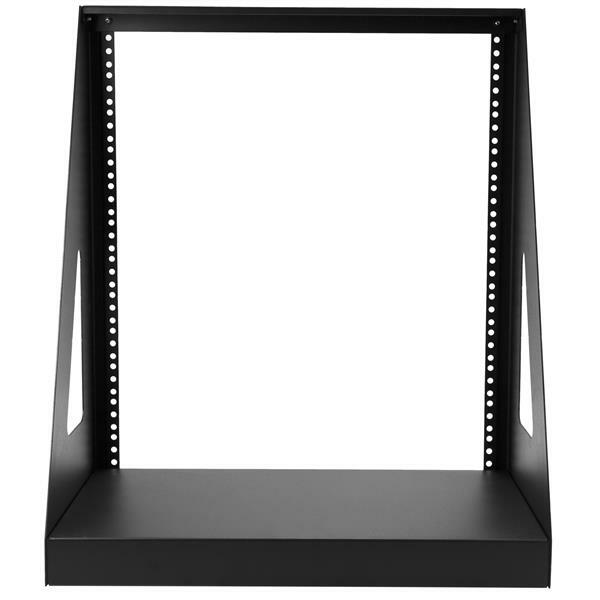 The rack is packaged efficiently, so you can easily store it for deployment at a later date. 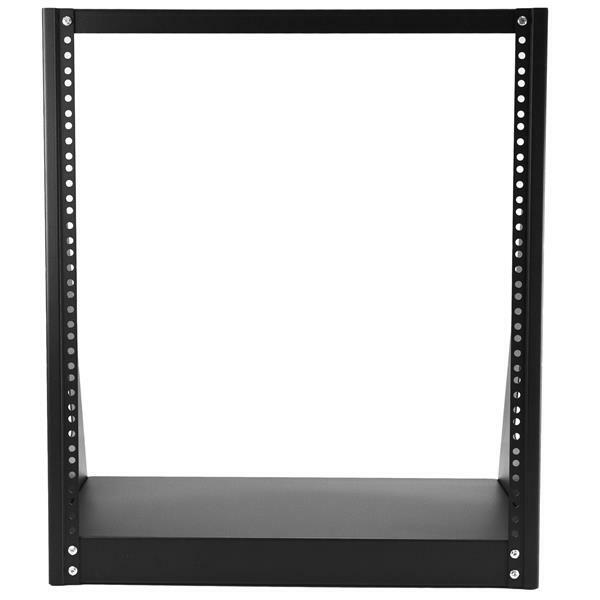 To help make your equipment install easier, this rack includes tool-less clip nuts that seamlessly work with the punched round holes featured on this rack. 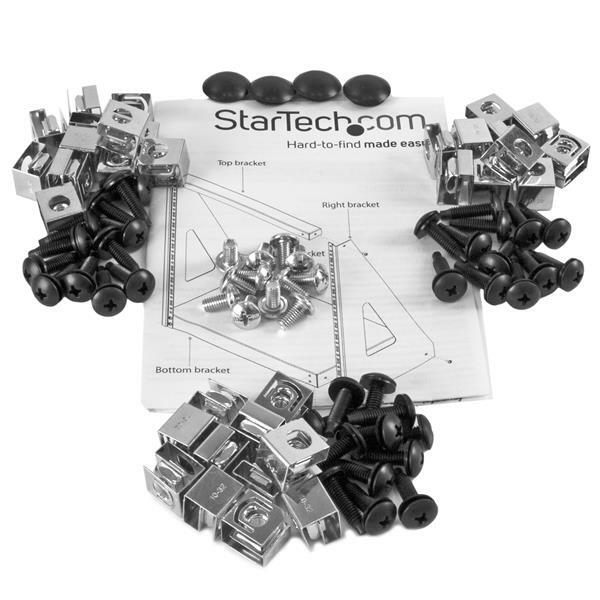 The tool-less clip nuts provide an easy-to-install nut, unlike square cage nuts which can be a hassle. The 2POSTRACK12 is backed by a lifetime StarTech.com warranty with free technical support.